He's more than just the Merc with a Mouth. As detailed by The Hollywood Reporter, Deadpool star Ryan Reynolds has entered a three-year first-look deal with Fox, the studio Disney is acquiring. The actor's first project under the new negotiation is a live-action version of Clue. Rhett Reese and Paul Wernick, the screenwriting duo behind Deadpool and its still-untitled sequel, will pen the script for Clue. Reynolds is attached to produce under his Maximum Effort banner, with Hasbro's production arm Allsparks Pictures joining the filmmaking force. 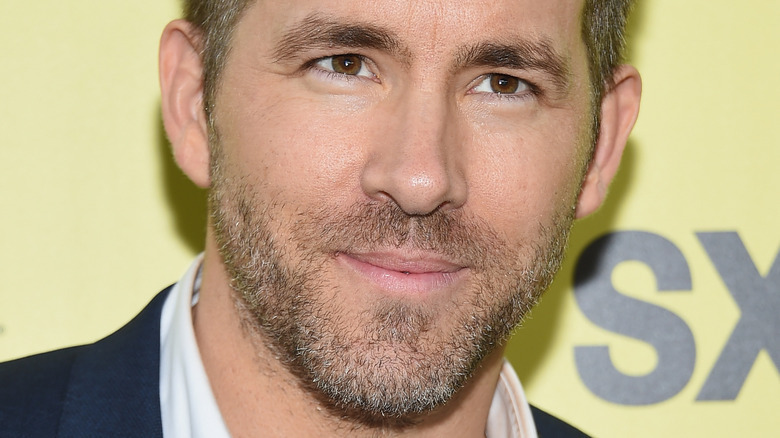 It's unclear at this point in time if Reynolds will have an acting role in the project, or if his creative energy will be strictly reserved for behind-the-camera work. The popular murder mystery board game first manufactured in 1949, Clue concerns six unique characters, all of whom are under suspicion of murdering the game's central victim. Players assume slightly silly monikers like Colonel Mustard, Mrs. Peacock, and Professor Plum to piece together which person is the true killer, where in the sprawling English mansion the murder took place, and which weapon (a pipe? a candlestick? a gun?) was used to commit the crime. Paramount Pictures previously released an adaptation of Clue as a mystery comedy movie in 1985. The film starred Tim Curry as the mansion's butler Wadsworth, Lesley Ann Warren as Ms. Scarlet, Martin Mull as Colonel Mustard, Madeline Kahn as Mrs. White, Christopher Lloyd as Professor Plum, Eileen Brennan as Mrs. Peacock, Michael McKean as Mr. Green, Colleen Camp as Yvette, Lee Ving as Mr. Boddy, Bill Henderson as The Cop, Jane Wiedlin as The Singing Telegram Girl, Jeffrey Kramer as The Motorist, and Kellye Nakahara as The Cook. More recently, in 2008, Universal took a stab at developing the board game for the big screen. Famed horror director Gore Verbinski (The Ring, A Cure for Wellness) was set to helm the pic, but behind the scenes troubles saw the project get shelved for the better part of a decade. One swap in film rights and a shift in studio later, and the Clue movie found its way to Fox in 2016. Before he dives into Clue, Reynolds has the Deadpool sequel to look forward to. The raunchy superhero flick will launch in theaters on May 18.